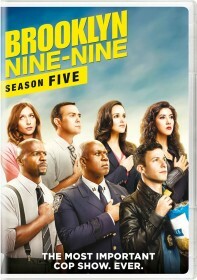 NBC has released the synopsis for the February 21 episode of Brooklyn Nine-Nine, "The Honeypot". "The Honeypot" - 02/21/2019 (09:00PM - 09:30PM) (Thursday) : Jake and Holt clash over the merits of a new hire in the 99th precinct. Terry, Amy, Rosa and Charles try to do something about the cluttered bullpen.